This blog looks at patterns for making beaded animals. In each case you will get an overview of the pattern, including handy information about its suitability, materials and techniques, along with a link to buy it. This herring bone stitch. This technique is pretty easy to pick up if you are new to beading. This particular pattern teaches you how to bezel around a crystal rivoli, then shape a herringbone tube. It may sound difficult, but in fact it’s pretty easy! 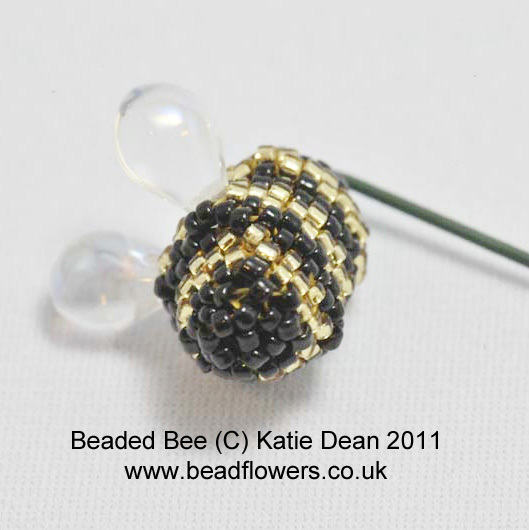 You will be using a mixture of different sized seed beads, alongside your crystal rivolis. If you already have some familiarity with the herringbone techniques, then you should be able to complete the beaded cat in a day. 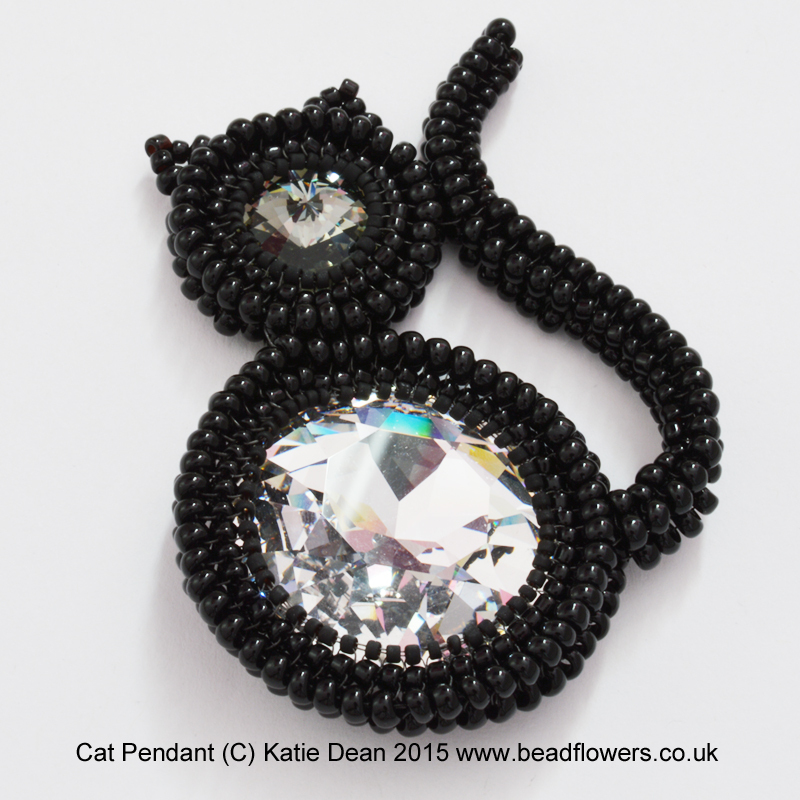 The pattern shows you how to turn your cat into a pendant or brooch. It could also be used as an ornament to display in a window. You can find the pattern here. The second of the beaded animals patte rns makes a Peyote stitch. You will want to be familiar with tubular Peyote and even count Peyote, but these are very basic techniques, so beaders of all levels would be able to try out this pattern. 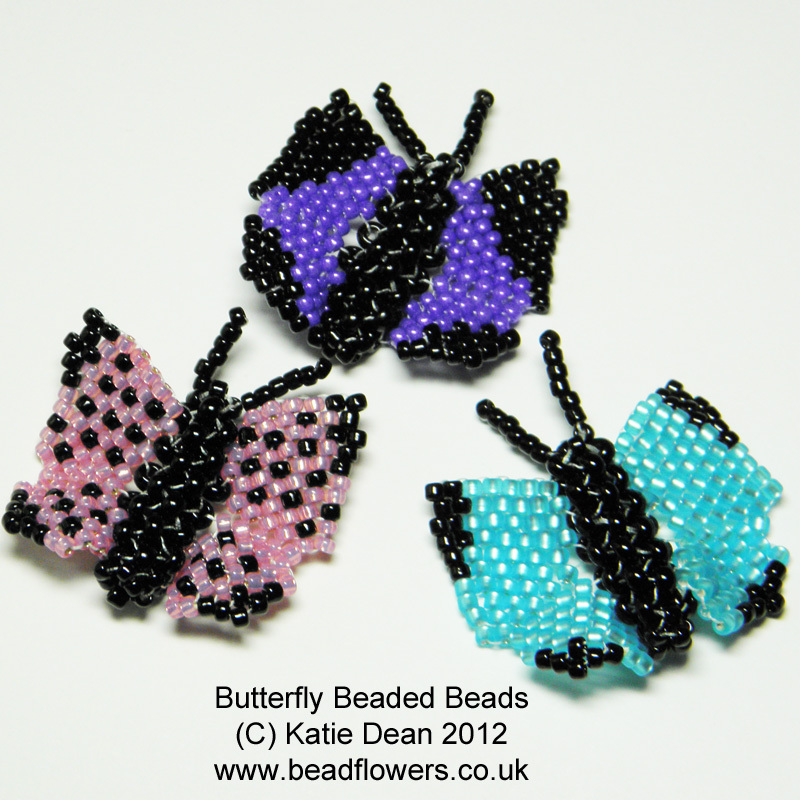 The butterflies can be made using ordinary seed beads, or Delicas. The pattern recommends size 11 and size 8 seed beads or size 11 Delicas. The patterns also offers a guide to adding different colouring to your butterfly’s wings, so once you feel happy with the basics, you can get a little more adventurous. Find this pattern here. This et for a wedding, or to a vase of flowers. It is made using circular and tubular Peyote stitch, so you will want to be familiar with how to make increases and decreases in Peyote. Luckily the pattern is very clearly written, so even if you aren’t terribly confident, you should still be able to give this a go. The pattern recommends size 15 seed beads, but you might want to start out with slightly larger beads until you feel happy with the techniques. This will work just fine – you’ll just end up with a larger bee! Made with size 15s, the bee measures under an inch. It has been beaded on a stem so that it is ready to fit into an arrangement, so if this sounds like fun, you can find the pattern here. Do fish count as beaded anim als? I’ll leave that for you to decide! Whatever you think, this brick stitch with a little bit of basic square stitch. 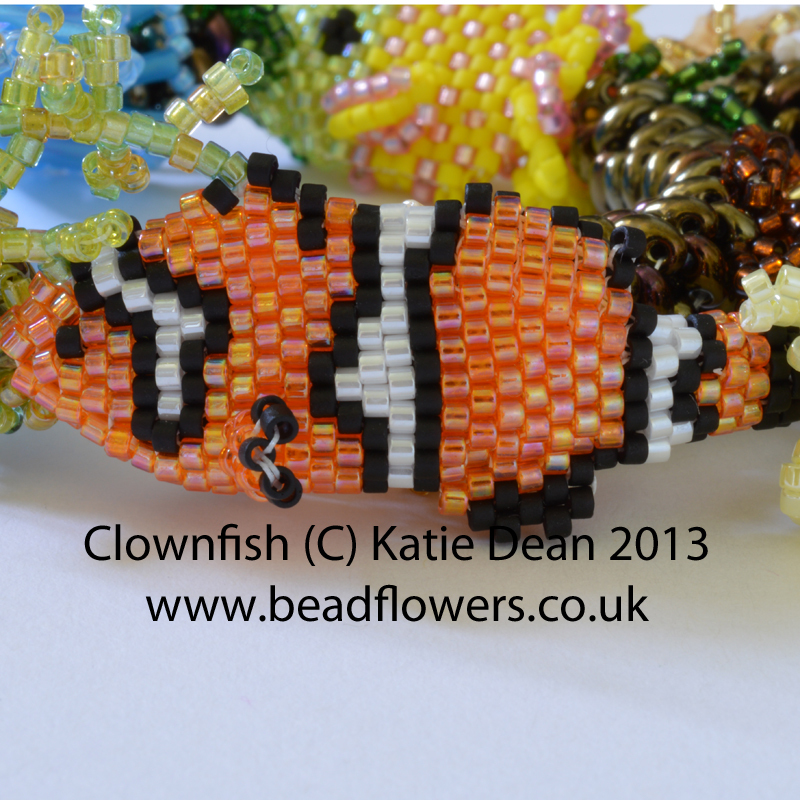 The clownfish is made with delica beads so that it will end up with a very regular shape. The techniques for this project are used in their basic form, so as long as you have a little knowledge you should be fine. You can find some handy free tutorials here if you need technique reminders. You should be able to complete this project in a day and you can find the pattern here. 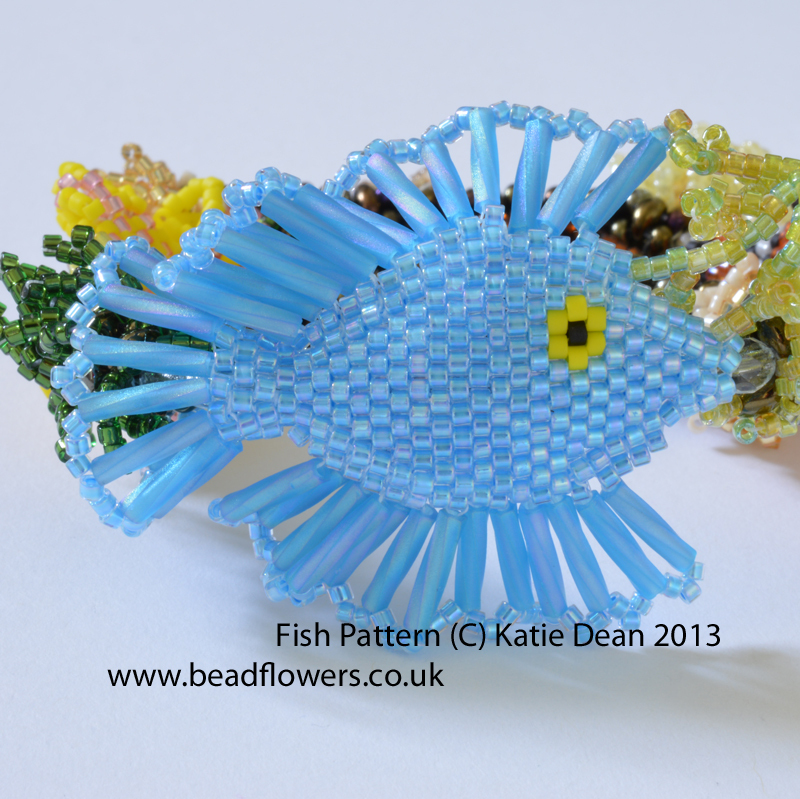 I’m hoping that you decided fish could be classified as beaded animals, because I’ve got another fish pattern on offer here! Like the clownfish, this brick stitch and herringbone. Again, you will be using basic versions of these techniques, so this pattern is very accessible. This fish is made using Delica beads and bugle beads. It is another project that can be completed in a day and you can find the pattern here. If you need any helpful hints about beading, you can find a whole host of articles here, covering the basics, like how to thread your needle and finish off beading thread, to how to read beading patterns. If you need more details about tools, like beading mats and needles, you can find that on the beading supplies pages.